SM Cares Bears Are Back! The SM Cares Bears are back and this time, they come in pairs for Valentine’s Day. Dubbed as “SM Cares Bears Pair”, this second undertaking under the SM Cares Bears project aims to encourage everyone to give one, get one and share one with the needy this Valentines season. 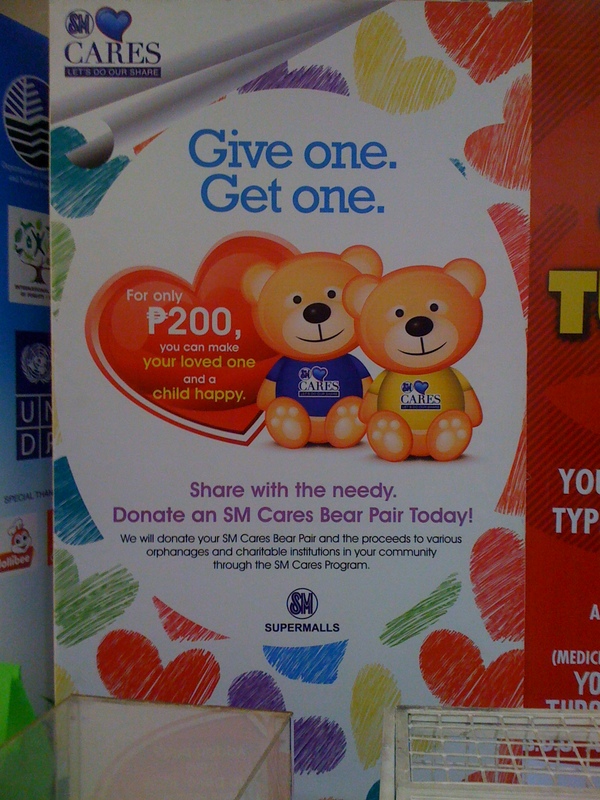 Unlike the previous SM Cares Bears campaign where you will donate 100 pesos and a bear in exchange for a donation certificate, this time your donation of 200 will earn for you a pair of bears. 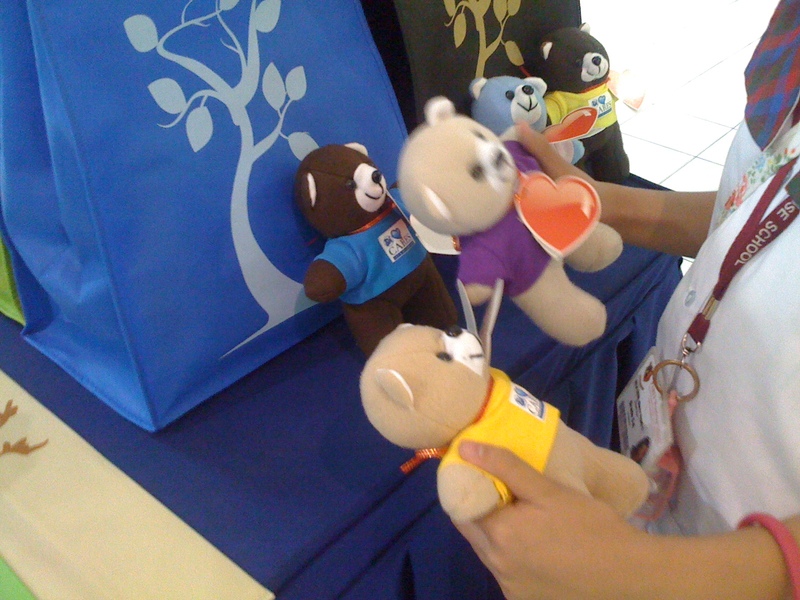 One bear you can take home with you to give to your loved one while the other one you will leave behind as donation to various orphanages and charitable institutions in the nearest community of the SM Supermall branch where you purchased your pair through the SM Cares pogram. 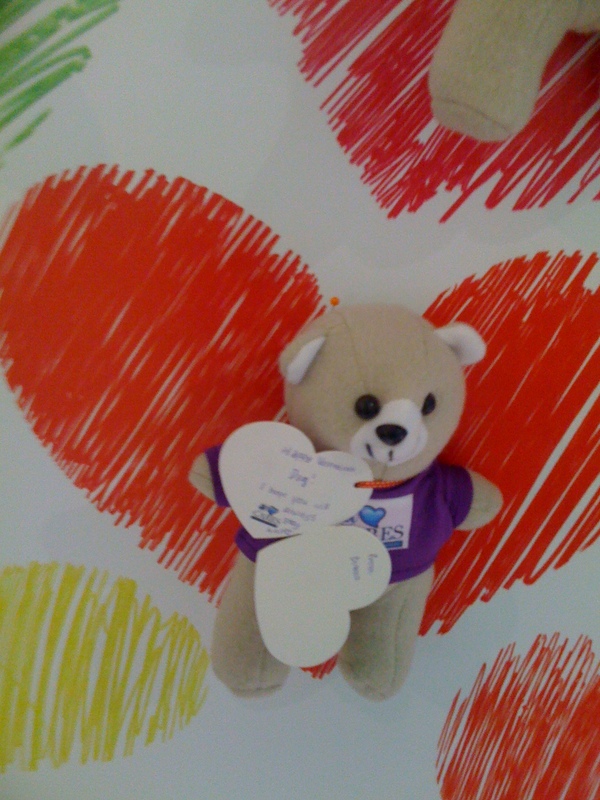 The bear that you will take home with you also comes with a card where you can write a simple note just in case you would want to give it to a loved one too. My daughter and I purchased a pair. She was happy and proud to be doing this again. She had this thing about teddy bears because as an only child, her teddy bears were her only playmates when none of her friends were around when she was little. 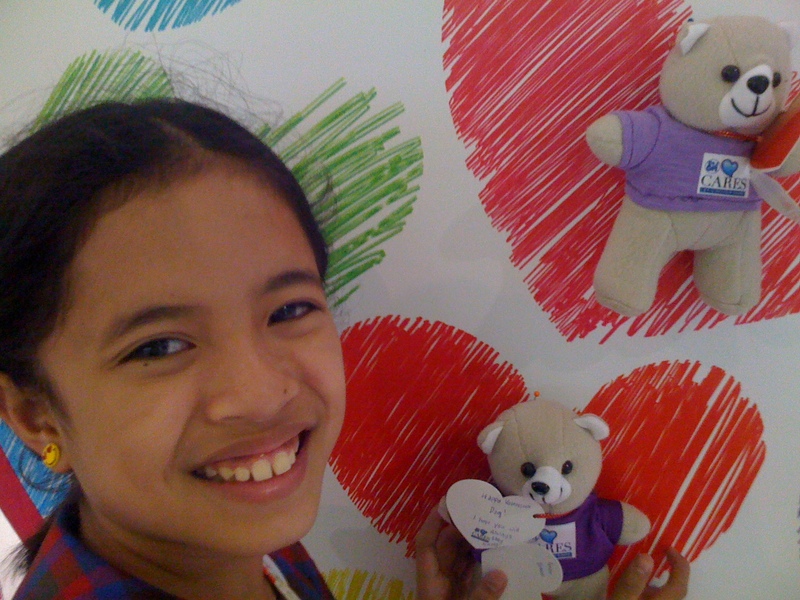 So she knows how these bears can bring joy to the kids in the orphanages. 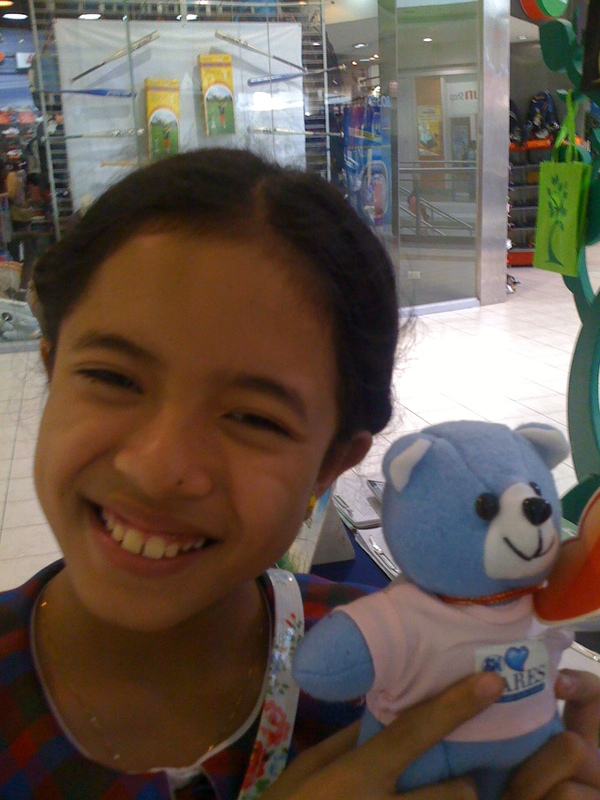 For couples, gifting your loved ones with a bear and donating the other pair is a good way to show your partner that your heart is big enough to care not only for them but for the less fortunate kids as well. And for parents, this can be a good opportunity to make our children understand that Valentine’s Day is not all about cards, roses and chocolates. 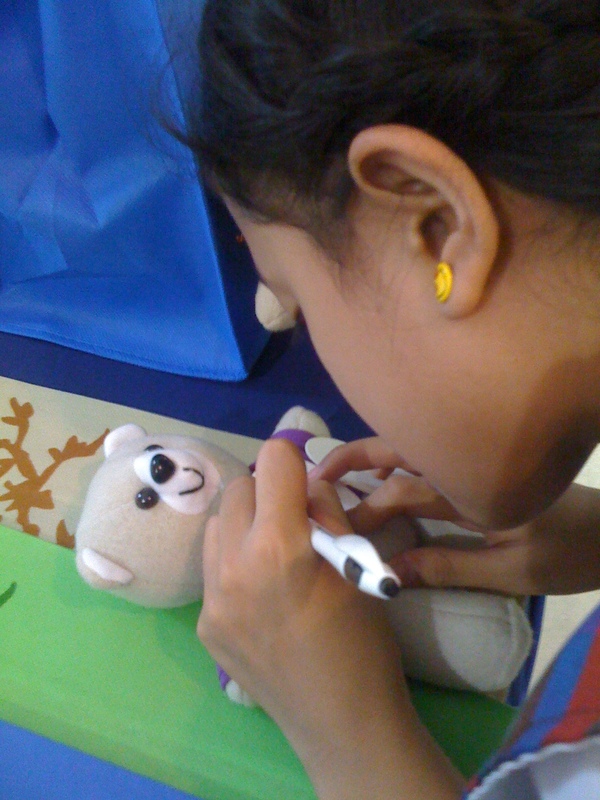 It is actually about giving love through simple acts of kindness such as sharing a toy to the needy. This can be a perfect way to show them that love in its truest and purest form is simply giving. a good project of SM and cute din ng bear, perfect timing for valentine’s day. i hope someone would give me one, harharhar!! Very cute. I remember last valentines I was given one not from a boy but a freebie in our company. Cute! Nice one! I like care bears. Classic toys! My daughter likes care bear too. Advance Happy Valentines. I will never forget care bears. I grew up with them. Boo, it’s only now I have read this. I am now nostalgic of those cute little bears. Your style iis very unique in comparison to other folks I’ve read stuff from.